The United States Air Force’s “Thunderbirds&quot; squadron performed a flyover at the premiere of ‘Captain Marvel’ in Los Angeles, California, on March 4. 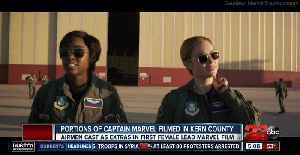 The air force described the flyover as a “unique moment to honor the men and women serving in the Armed Forces who are represented in Captain Marvel.” The film stars Brie Larson as Captain Marvel, a former US Air Force fighter pilot who gains super powers. According to Gizmodo.com, &quot;Captain Marvel has two identities. She’s Carol Danvers, Air Force pilot, human woman of Earth. 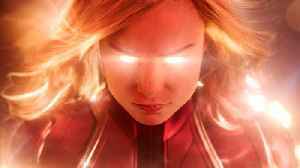 She’s also a Kree warrior, an elite pilot fighting a galactic..
Comicbook.com reports the Captain Marvel movie has brought a classic comic book cover to life! The image is a nod to fans of a particular moment in the comics. Joe Quinones' cover from Captain..
Look, I’m just gonna say it: at this point, I don’t want to see a superhero movie if it doesn’t have a dope pair of sneakers released alongside it. From Vans’ incredible Black Panther Sk8-his.. 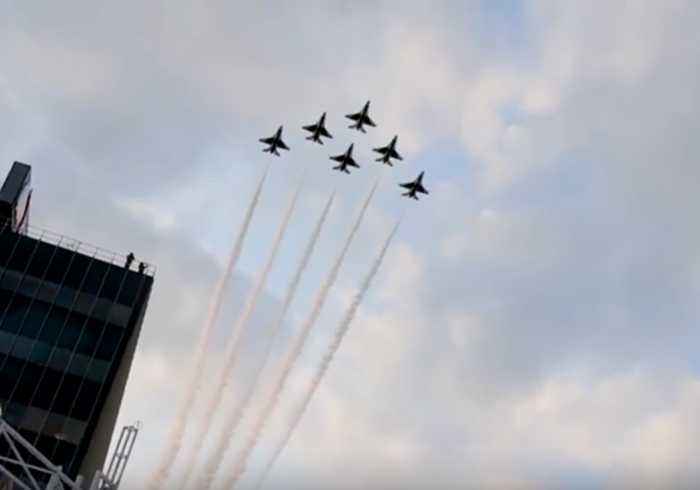 The United States Air Force’s “Thunderbirds" squadron performed a flyover at the premiere of ‘Captain Marvel’ in Los Angeles, California, on March 4.The air force described the.. According to Comicbook.com, &quot;Brie Larson plays Air Force pilot Carol Danvers in Captain Marvel. She spent some time with real Air Force pilots to prepare for the film and even earned her own.. According to Comicbook.com, "Brie Larson plays Air Force pilot Carol Danvers in Captain Marvel. She spent some time with real Air Force pilots to prepare for the film and even earned her own call..